The research team here at Hit Search contains Fashion experts, that happen to also be Digital Marketers. Therefore, they provide a very unique perspective on the fashion marketing landscape. Truly understanding a fashion customer before an agency even gets to a Digital Marketing strategy, has ensured our fashion client base has rapidly grown year on year since 2007 with impressive revenue increases and ROI performances. P.S. Check out our TV & Radio page to access webinar recordings! 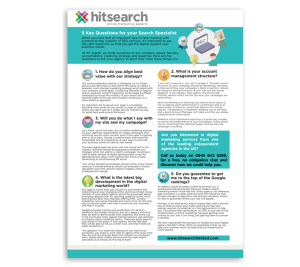 The Hit Search fashion teams experience has been, in part, collected across a number of infographics and ebooks that we are happy to share with you. Below represents just a few and we hope you find them interesting and engaging…but above all play a part in improving your revenue! 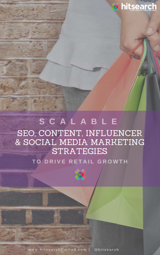 In this eBook, we show you how to align and scale up your retail marketing activity, from persona development to using influencers to drive sales. Fashion brands have a unique dilemma when it comes to digital marketing, and that is striking a balance between raising awareness and driving ecommerce revenue. 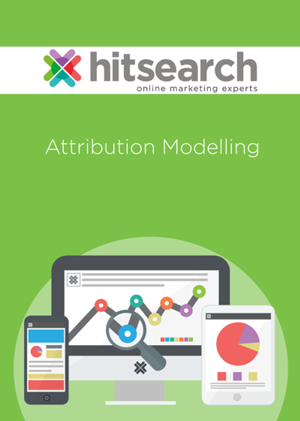 Download this guide where we share our extensive Attribution Modelling experience through working with a plethora of fashion brands. Although not a new concept for website owners, conversion rates have suffered over recent years from within the fashion space. Web designers and developers, alike, have built websites to please their clients visually, but often fall short of some very basic constructs that help customers find and buy products easily. 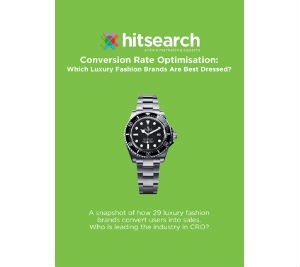 Which Luxury brands are best dressed when it comes to Conversion Rate? 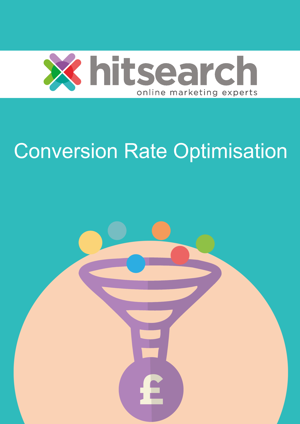 We have extensively researched the leading UK brands against key metrics relating to their conversion rate. These metrics ranged from site speed, page download time and mobile accessibility – right through to drop off rates and basket abandonment. Access your copy now! In order for your brand to achieve the ultimate omni-channel digital marketing strategy, you must have a multi-channel framework for your business foundations to sit. 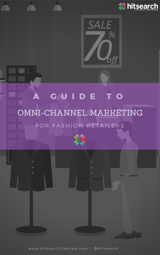 This booklet gives you a practical guide to the first steps your brand needs to take in order to become fully omni-channel. With smartphones having now overtaken laptops as the most popular device for getting online, it's important you're confidently able to deliver a fantastic experience for the mobile customer. 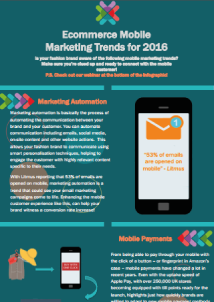 But don't forget to seamlessly integrate your strategy cross-channel and cross-device! Download this eBook for tips. 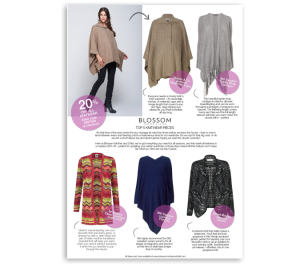 At Hit Search, we’re experts in producing clear, attention-grabbing infographics for the fashion sector, providing ideal promotional material for blogger outreach and social media. This infographic was created for Blossom Mother and Child to represent their maternity denim collection. This was used for promotional purposes on site and for blogger outreach. This could be easily shared via social media and would serve as a visual aid that was rich in content both written and visual. 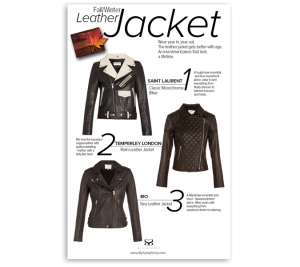 To celebrate the collection of leather jackets in the BySymphony range, an infographic that matched the overall aesthetic of the BySymphony site was created. This was used for blogger outreach and for the in house team to distribute across their own channels. As part of a monthly series of infographics for the heidi klein range, this was created for their own on-site blog and used for blogger outreach. In addition this was used on social media as a way to present the entire range quickly and effectively. 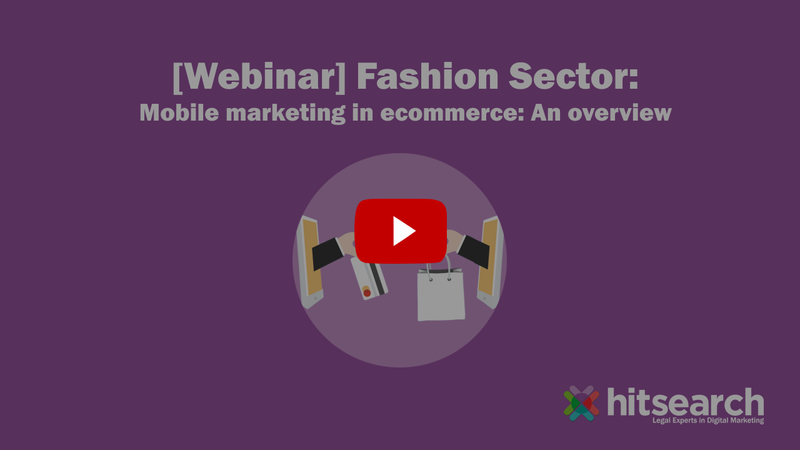 Is your fashion brand aware of the following mobile marketing trends? Make sure you’re clued up and ready to connect with the mobile customer! P.S. We've got a webinar that goes into more detail where trends are concerned! Check it out here. This infographic highlights elements of the mobile site that are user-friendly and also suggests some changes the retailer could implement to ensure they continue to please the mobile customer, whilst optimising for conversions. P.S. 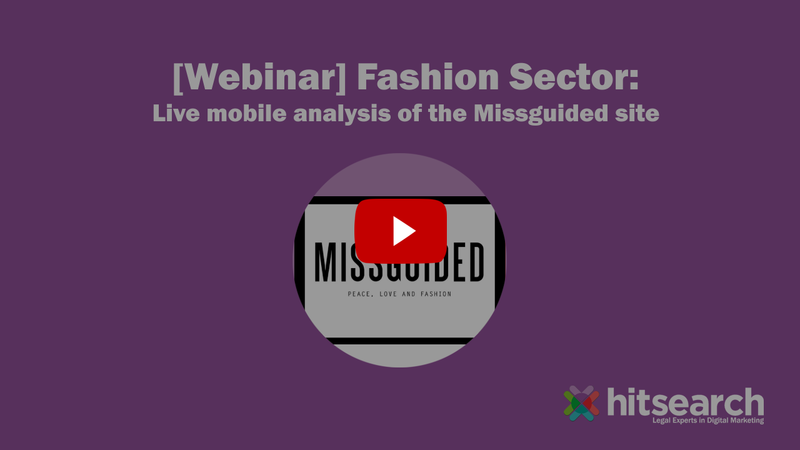 We've got a webinar that analyses the Missguided.co.uk mobile experience! Check it out here. Hit Search TV is our digital marketing expertise in bitesize (and easily digestible) snippets in video form, here are our fashion-related videos! 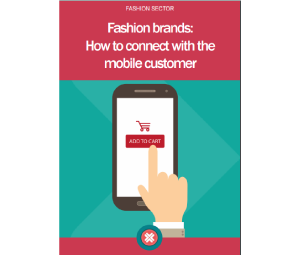 We discuss the importance of mobile marketing for your fashion brand, including examples of how some of the biggest brands are connecting with their customers through mobile. 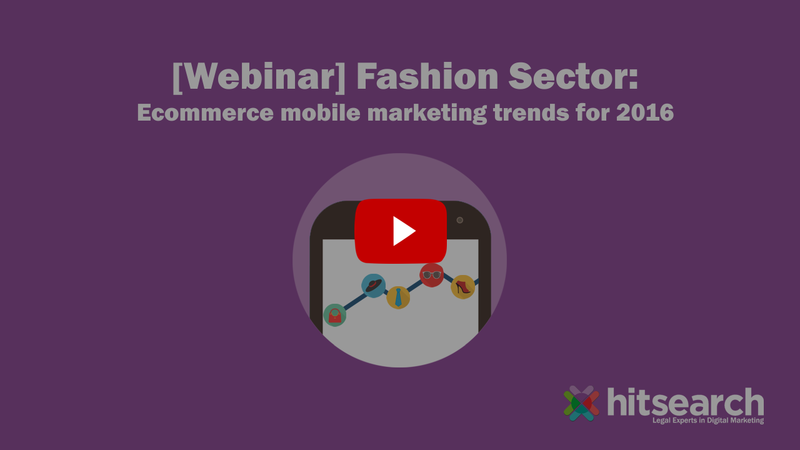 We discuss how you can connect with your mobile customers using the most up-to-date ecommerce mobile marketing trends of 2016. 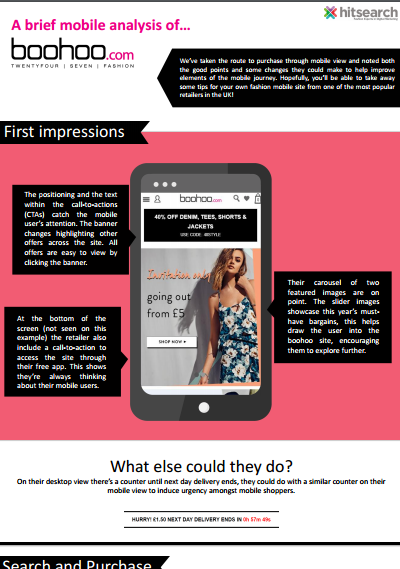 We discuss the elements of the Missguided mobile site that are mobile-friendly and also highlight where there is room for improvement! Tips to take away for your own fashion brand!